Labeling this record as ‘space rock’, as I have above, is a bit like an American telling you that they’re Italian, or Polish or Armenian. I don’t have to write anything after the title, and I’m never trying to ascribe any particular set of characteristics when I do so, but it serves as a useful guide to those among my readers that are utterly convinced they have no interest in anything that could be labelled ‘metal’ for example, or ‘hip-hop’. That is, it serves a mainly negative purpose, because if you are likely to enjoy it, a genre label tells you virtually nothing about a piece of music. Far Corners is a space rock record in the way a fifth-generation suburban American realtor from Hackensack, New Jersey might be Irish. Space rock, that hard-edged, drugged-to-the-eyeballs, watermelon-pupiled land of ‘Set The Controls For The Heart Of The Sun’ and ‘Silver Machine’ is the old country, that mythical hinterland whose cuisine is still their comfort food, but Astralfish are living in the melting pot. Writing ‘space’ instead of ‘space rock’ would just have been confusing, but there’s relatively little here that sounds distinctly like rock (a noisy romp of an exception like ‘Cloud Gather’ notwithstanding). There is the occasional outbreak of distorted guitar, but it’s rare, and far from dominant; there are, however, a ton of sounds that are frequently to be heard in such bombastic company. Rock itself is a peculiarly eclectic meta-genre, able to assimilate more or less any musical language, and that magpie sensibility is a powerful force here. There are elements of jazz; some distinctly Celtic melodies (and echoes of Afro Celt Sound System); moments of a modern classical flavour (‘Riding The Seasons’, more so than the wonderful Richard Wileman’s contribution, surprisingly); a concern with the atmospheric that sometimes brings the music to the fringes of ambient; and several grooves that verge on funk. It’s hardly unusual for accomplished musicians (and these are nothing if not accomplished) to have a wide range of stylistic interests, but there were a large number of creative minds involved in this project. 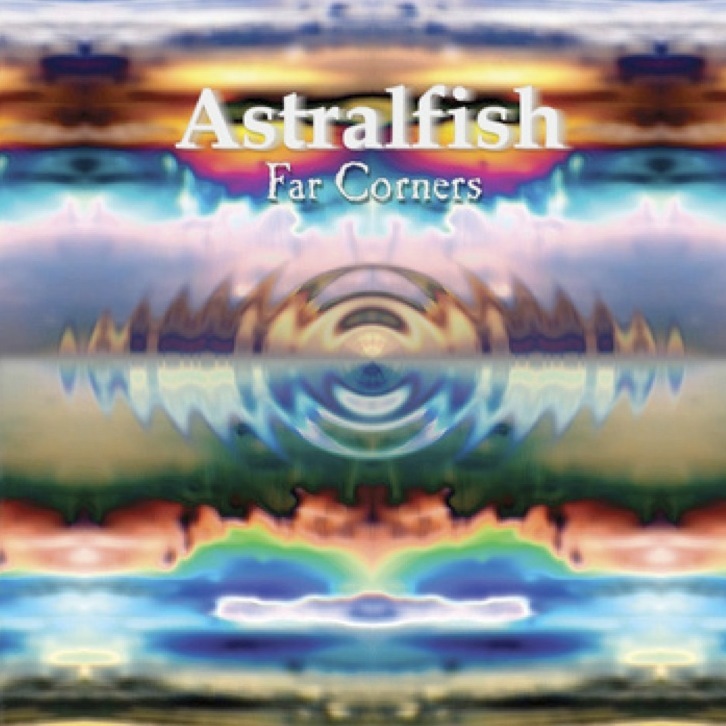 The core of Astralfish consists of Don Falcone (synthesiser auteur and veteran of San Francisco’s 1980s club scene) and Bridget Wishart (one time Hawkwind vocalist), but on each track they collaborate with one or more additional musicians, both as composers and players. The best known of their collaborators is doubtless Daevid Allen, but all of them seem to be very active in the arena of psychedelic/ progressive/ spacey music, and I’ve even heard of a couple of them (including the aforementioned Richard Wileman, whose band Karda Estra is the name attached to some of my very favourite music); one of them, Jasper Pattison, is the bass player on some my favourite music from another field of endeavour, the anarcho-punk/ ska of Culture Shock and Citizen Fish. I often valorize music that is edgy, challenging in an abrasive way, or psychedelic in a brutally overwhelming way (like sludge metal), but there’s more than one way to skin a cat, and Astralfish (to over-stretch a singularly inappropriate metaphor) are able to skin all kinds of animals in many different ways. Their music sounds coherent across the whole album, which is partly due to the use of a consistent vocabulary, and certainly owes something to Falcone and Wishart’s instrumental voices, but also has a lot to do with a distinctively warm and smooth production. The sound of the record is not at all spiky or angular, but expansive and inviting, and when it kicks off, as it does in ‘Key Rings’, ‘Seeds At Night In A Trickster’s Yard’, or especially ‘Cloud Gather’, it is imbued with a powerful drive and excitement. Lead guitars sound entirely appropriate to the space rock idiom, as do many of the other sounds, while the basses and Wishart’s EWI frequently reference jazz fusion, sonically if not rhythmically. The terms of this vocabulary are so long established that, although they retain their capacity to signify, and have indeed gained much connotative value over the years (as with the synthesizer’s long and torrid affair with electronic dance music), there’s very little about them that sounds inherently transgressive now. As a kid, when I heard Steve Hillage or Here & Now (for example), there was something subversive about the sound, something intrinsically connected to the small squares of cardboard we were all so keen on, a sense of shared countercultural secrets. Nothing strikes me as particularly ‘druggy’ about this musical language nowadays, but Far Corners continues to mine a vein of compelling visual narrative in the complexities of orchestration and timbre that their musical resources enable. This is a deceptively complex, very hospitable and absorbingly atmospheric recording.